Are you feeling your age? Have those annoying niggles become your daily companion? Have you suffered an injury at work, hurt your neck in a car accident, or rolled your ankle playing sport on the weekend? No matter what it is that has made you seek physiotherapy treatment or whether you are young or old, let a Rivervale Physiotherapist start you on the right path to full pain-free function. Why see a Move Well Rivervale Physiotherapist? Rivervale Physiotherapy Clinic’s friendly staff will assist you with your recovery and rehabilitation from injury. 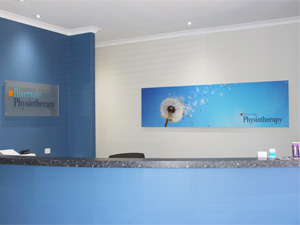 Our Physiotherapists have an excellent relationship with the Doctors in the surrounding area medical centres including Rivervale, Cloverdale, Victoria Park, Maylands, East Perth and Belmont. All of our Physiotherapists participate in ongoing professional development courses and seminars which allow them to provide you with an accurate diagnosis, provide the most effective treatment, and prescribe the proper exercises and management strategies with the aim of returning you to your normal activities. Rivervale Physiotherapy offers a variety of services so once we have assessed your problem we can identify the best way to solve it. No two problems are ever the same. Move Well also offer a network of Move Well clinics collectively providing a comprehensive range of specialised physiotherapy services including manipulative therapy, sports physiotherapy, exercise prescription services, dry needling, hydrotherapy, occupational health services. Rivervale Physiotherapy Clinic offers services through Medicare and Department of Veterans’ Affairs. Please speak with your GP to find out if you are eligible for these services. For those with chronic conditions, you may be entitled to a maximum of 5 Enhanced Primary Care (EPC) sessions under Medicare. Mon 9 -7, Tues 11.30 – 6, Weds 9 – 7, Thurs 11.30 – 6, Fri 9 – 2, and Sat 8 – 12. Rob has numerous years of experience and has completed his Masters of Physiotherapy, Bachelor of Exercise Science and Rehabilitation and a Certificate III and IV in Fitness. Rob has special interests and experience in designing and implementing personalised rehabilitation and conditioning programs for a wide range of injuries and conditions. Rob is passionate about injury prevention, body awareness and performance with many years of knowledge and experience gained through his studies and previous work experiences. His personal interests include swimming, surfing, Australian Rules Football and living an active healthy lifestyle.